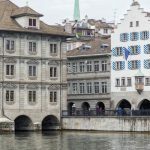 Rents have dropped across Switzerland, declining substantially in the Lake Geneva region, according the the property consulting firm Wüest Partner. According to the firm, Swiss rents in the second quarter of 2016 were 1.6% lower than the same quarter in 2015. 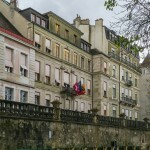 Geneva saw rents drop by 8.3% over the same period, while the region around Lake Geneva, known as the arc lémanique, saw a fall of 7.2%. Valais saw a similar decline of 5.2%. 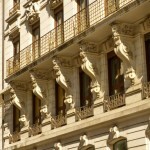 Landlords in Zurich got off comparatively lightly. There rents only declined 0.2%, wrote Beat Metzler for the Tages Anzeiger, referring to the same report. These are the first declines in 16 years, according to the Zurich daily. Across Switzerland, rents rose by 25 percent in the ten years from 2006 to 2016. In Zurich (+38%) and Geneva (+46%) the rise was even steeper. Wüest Partner says the market has turned in favour of renters as immigration falls and the supply of new dwellings coming on to the market increases. Recent figures from Switzerland’s migration authority show a big drop in net foreign migration into Switzerland. Over the first nine months of 2016, net migration was down 18.3% compared to the same period in 2015. Other indicators such as the Swiss Real Estate Offer Index of ImmoScout24, show a mixed picture. 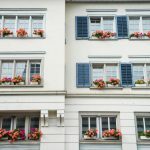 Between 30 October 2015 and 30 October 2016, rents offered across Switzerland on ImmoScout 24 rose a slight 0.11%. Around Lake Geneva however, they were down 0.33%. In Zurich the 12 months to 30 October 2016, brought a rise of 0.78% – these rates update in real time as adverts are added and adjusted. Both firms use advertised prices to calculate and compare rents over time.